“It caught me off guard when I first read, “Youth Only NASCAR Autograph Session” on the daily activities email sent by the Indianapolis Motor Speedway PR department. I sort of did a double take —then I smiled”. In case you haven’t noticed, I love racing, I really do, but the one thing that I love more than racing itself, is seeing my kids enjoy racing themselves. Unfortunately racing isn’t necessarily an easy sport to follow, specially with the family. 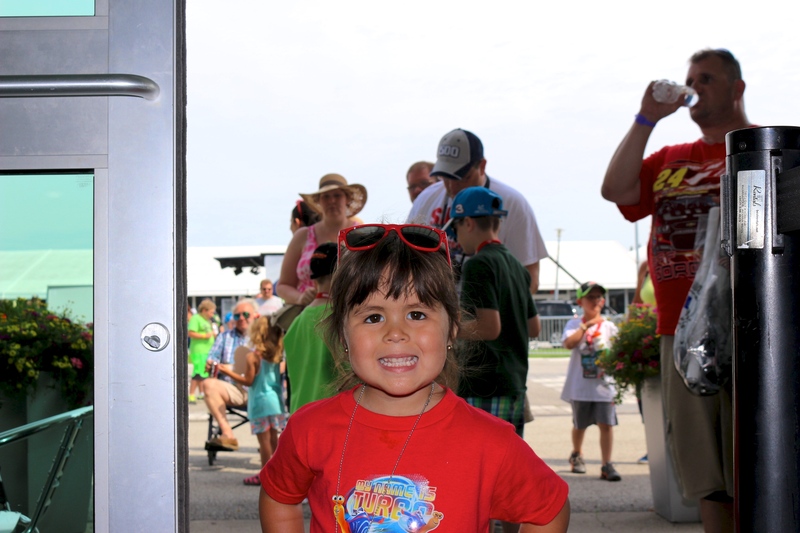 Thankfully, the Indianapolis Motor Speedway, and even NASCAR have realized their tiny fans, the lil’ racers and next generation of superstars need to have some fun at the track. Not only do kid-friendly activities keep my kids happy, but they also allows Missi and I to enjoy the show and focus on what’s important —the racing. 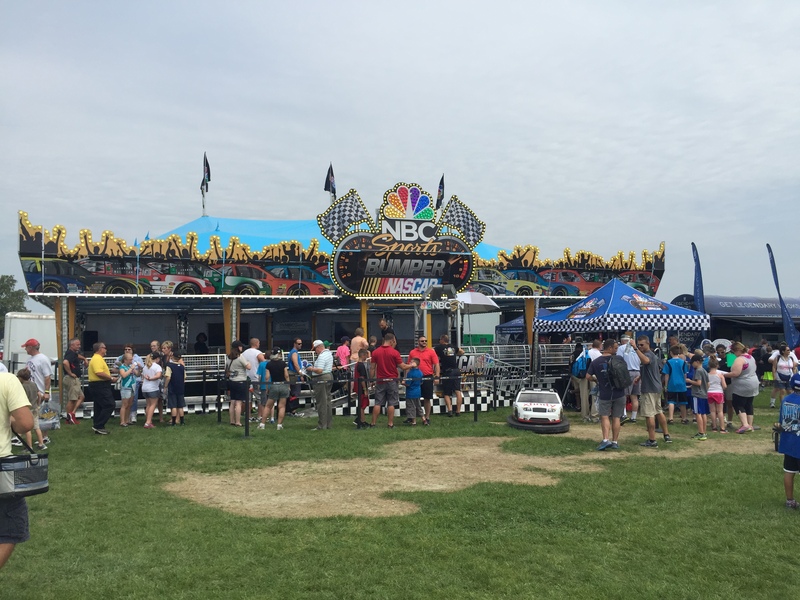 For some time the Indianapolis Motor Speedway has incorporated cool activities at their events as part of their IMS Kid’s Club, an activity area that over the years has grown from just a bouncy house and DJ music to three bouncy houses, face painting, obstacle courses, inflatable slides, video games, caricature drawing, etc. You name it, they have it, and it’s free. I love what the Speedway guys are doing, but this time it was NASCAR that jumped in and added to the list of family and kid friendly activities. 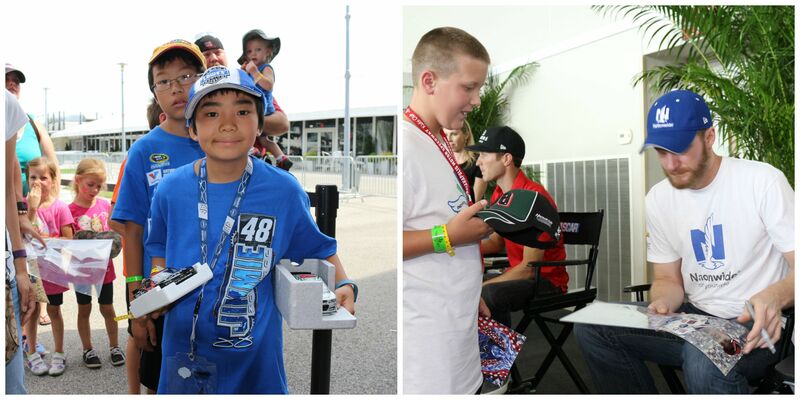 Not only did NBC Sports/NASCAR bring some sweet bumper cars, but they held a “Youth Only Autograph Session”! 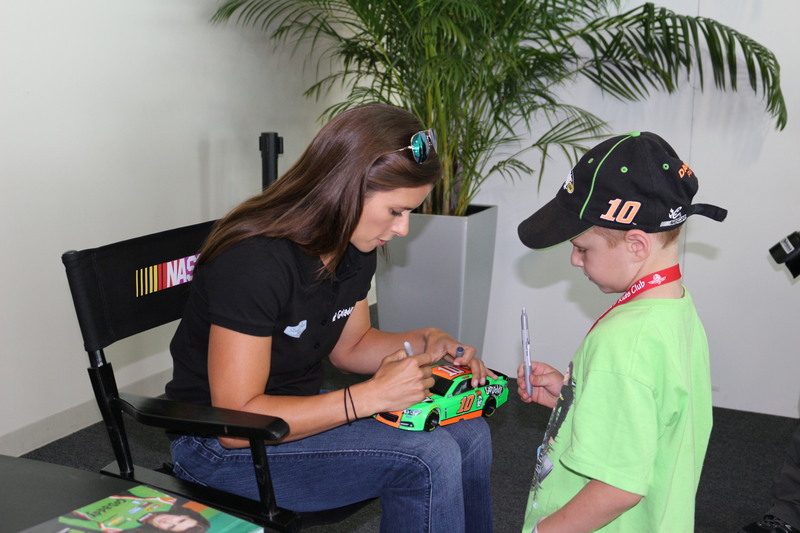 Kids of all ages had the awesome opportunity of meeting their favorite NASCAR drivers. How cool is that? I’ve been in more than a few autograph sessions, but never one that was all kids! Seeing over a couple of hundred kids wearing racing shirts, hats, holding die-cast cars, posters, etc. was really quite moving. But the best part was seeing their faces go from being somewhat bored waiting in line, to being either shy and star -struck, or crazy and hyper by the time they got in front of drivers like Dale Earnhardt Jr, Danica Patrick and Kasey Kahne. It was like Christmas in July! Our very own Josephine was our news correspondent at the scene, and she made sure to inspect Danica’s chair and sharpie before she arrived —just to make sure they were up to spec. She also made sure all her kiddie friends were behaved, lined up and ready to go. But when it was her turn to meet the drivers —she stuck to Missi’s leg and refused to go. So there ya go, my own 3-year old who wakes up on Sundays asking to watch racing didn’t want to snap a selfie with Dale Jr. Some call it shy, I call it being faithful to the man of her dreams —Tony Kanaan. So next time you hear about NASCAR, or racing in general, remember that it’s not just for the adults anymore. Family fun and lifelong memories are best created with the smell of gasoline and rubber. Stutz – An Indianapolis automotive gem.